Who’s feeling the “pain” of retail closures? Macy’s, JCPenney and Sports Authority are just a few of the big names in retail that are closing stores, shrinking footprints or going out of business altogether. 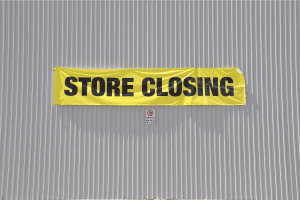 The mass of store closures is clearly creating a shake-up in the retail sector along with widespread speculation on the short- and long-term implications for retail owners, investors and developers. To help analyze that impact, Reis released a new research report on the Impact of Large Chain Store Closures on Retail Rents that aims to take a closer look at how closures are impacting market rents. The Reis database includes 470 large chain store closures – everything from Walmart and Kohls to Golfsmith and Sears – that combined total 28.9 million square feet across more than 100 metros. Much of that vacant space, 13.3 million square feet, is concentrated in 15 major metros. The top three cities that have the biggest volume of closures on a straight square footage basis are Philadelphia, Houston and Chicago – all of which recorded more than 1 million square feet of closures. Philadelphia is well in the lead at 1.9 million square feet. However, as a percentage of total inventory the picture is a little different. In that context, New Orleans easily tops the list with closures from 2015-2016 accounting for 8% of its total retail inventory. Reis examines how rents have changed in those metros that have seen significant store closures as a percentage of total inventory. The analysis compares quarterly rent growth rate for Q3 to Q4 2015 versus the same period in 2016 to determine how much rent growth was accelerating or decelerating. According to Reis, one would expect a higher the percentage of closed stores to lead to steeper declines in rent growth, however the actual results found very little correlation between the two. Although closures likely add downward pressure on rent growth, there is little evidence suggesting that the closings had a direct impact on retail rents. Reis contends that any acceleration or deceleration in rents is more likely tied to the bigger picture in that market, such as oversupply and sluggish economic growth, rather than solely the store closures. It is important to note that the rent analysis only included a comparison of rents within neighborhood and community centers – not malls and power centers. Certainly, neighborhood and community shopping centers have been impacted by the closure of an anchor, such as a grocery or discount store, however Reis acknowledges that much of the small shop space within those neighborhood/community centers is occupied by tenants that are more immune to e-commerce and have been less impacted by closures as compared to mall tenants. The data could mean that the wave of store closures are not as dire as some believe. On the other hand, many of those closures are still relatively recent, so the full impact simply may not have had time to percolate through the broader market. It is also widely anticipated that there is a significant volume of store closures still to come, which could add even more downward pressure to rents. Cushman & Wakefield is estimating that nearly 5,500 more stores – including both large and smaller formats – will go dark in 2017. All of these different variables emphasize the need to fully understand the dynamics of each individual market, submarket and micro-market to gain an accurate understanding of how store closures may impact key property fundamentals and investment strategies.